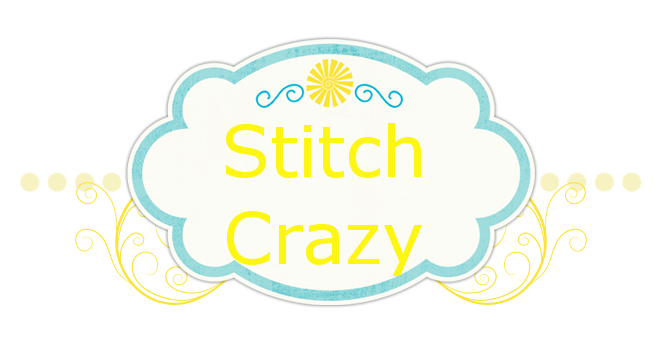 Stitch Crazy: Has anyone seen my memory…mind…whatever? Oh goodness what a week. I know in the past year or so I’ve started forgetting stuff. I mean walk through the house to a room to do something but forget by the time I get there and worse. I blamed it 100% on the Topamax (stupamax). Now with a soft diagnosis of fibromyalgia, I’m wondering how much of it is Topamax and how much of it is fibro? I think I got a little taste of it yesterday. I got up, did a few things around the house, put some tea on the stove to start, and decided to get out of the house for a bit. After running 1 errand and getting all the way across town from the house, it dawned on me, I never turned the burner under the tea out. No batteries in the smoke detectors. OH MY HOLY COW!!! Ty is sound asleep, no phone. Called James, he is out of town. I’m picturing a fire starting on the stove. I called a friend of ours whose mother lives next door and told her what was going on and she got her mom to go beat on Ty’s window till they got him up and got him to turn it off. The tea was a blackened ruin in the pan. The red pan was turning black on the outside. The miracle here, and a testament to these pans, it’s a Paula Deen pan, it all came clean and undamaged! So I finish my errands and get home. Now I did put the pan w/water on to boil to help loosen the burnt remains in the pan and I was toodling on the computer. James came home for lunch and we chatted for a bit and it dawned on me Seb had a dr appt. So I left to go pick him up. After we got to the dr’s office I called James, praying and hoping he remembered to TURN THE FIRE OFF from under that pan!! I DID IT AGAIN! Luckily James caught it. After the dr’s we get home and I look at the chicken that I’m supposed to turn into dinner and I feel like I’ve slammed into a wall and can’t lift a finger. Exhausted, completely and utterly. We got take out. So, things that I’ve thought were other things, I’m seeing connections to fibro. This blob, believe it or not, is Issabella. I don’t know if you can tell or not, but she is literally WEDGED between my leg and the arm of the chair. She is so wedged she is not touching the seat of the recliner. Sorry the pics are a little blurry, it’s a camera phone and my hands were shaky. It has been AT LEAST 6 months since I have felt positive, good, happy enough to put on make up and fix my hair and put on something other than sweats. So this, this is a miracle. Hubby was shocked when he got home and saw me all “dolled” up…he likey likey. We had an awesome date night and just so the boys wouldn’t be totally left out, we ran by DQ and took advantage of the B1G1 for 99C blizzards. Yummy. I’m now snuggled into jammies and new toe socks and pulled the hair into a semi-high pony. I’m rocky the cute bedtime look! BTW, do you know why the text is in PURPLE (at least I hope it’s purple, I use LiveWriter to do the blog and upload it and I hope it goes over the way it should!!)? March 26th is National Wear Purple Day to help raise awareness for Epilepsy. As many of you know, my son has Juvenile Myoclonic Epilepsy and it is a long hard word to travel. We now face employers that won’t hire due to the epilepsy, even if they don’t come out and say it. Wear purple to show your support of Epilepsy Awareness. There are 50,000 death in the US PER YEAR due to epilepsy. To give you some perspective, there are 39,520/year from breast cancer, 15,000/year from prescription overdose, 12,000/year from skin cancer, and 10,228/year from drunk driving. Now think about how much you hear about some of these other causes, how much some of these other causes get in research, epilepsy is WAY down on the ladder. Awareness needs to be raised not only for research, but to help take the stigma out of it for those who suffer from it. 1 in 10 people will have at least 1 seizure sometime in their lifetime. For many, that will be the only seizure they have. But for too many others, they will continue and they will be diagnosed as having epilepsy. So please, wear purple, post in purple, stitch in purple, speak out, do something please to help raise awareness! Sending you lots of love deary.. Guess what? Fibromyalgia is also represented by...wait for it...PURPLE!!! I have a purple fibromyalgia magnet on the back of my car and a pink one for my friend who died of breast cancer last October. It's kind of amazing. I've found a lot of fellow fibro sufferers who also are stitchers. I'm wondering about a connection there, but it seems logical that if you have to sit around all the time, you're going to want something to do with your hands. Congrats on the date night and glad you didn't burn the house down. Probably not as glad as you are. It was so scary to read about your 2 close calls with the fire on the oven! The Lord's Prayer stitching looks gorgeous!